The PK (Russian: Пулемёт Калашникова, transliterated as Pulemyot Kalashnikova, or "Kalashnikov's Machine Gun"), is a 7.62×54mmR general-purpose machine gun designed in the Soviet Union and currently in production in Russia. The original PK machine gun was introduced in 1961 and then the improved PKM in 1969 to replace the SGM and RP-46 machine guns in Soviet service. It remains in use as a front-line infantry and vehicle-mounted weapon with Russia's armed forces. The PK has been exported extensively and produced in several other countries under license. The Main Artillery Directorate of the Soviet Union adopted specification requirements for a 7.62 mm general-purpose company- and battalion-level machine gun, chambered for a rifle cartridge in 1955. In 1958 a machine gun prototype, developed by G.I. Nikitin and Yuri M. Sokolov, successfully passed field tests. Based on the results of the tests it was decided in 1960 to manufacture a batch of Nikitin-Sokolov machine guns for service tests and then put the machine gun into production at the Kovrov Mechanical Plant. When the Nikitin-Sokolov machine gun was almost completed, a team of Izhevsk Mechanical Plant designers, headed by M.T. Kalashnikov, and further consisting of V.V. Krupin, V.N. Pushchin, A.D. Kryakushin, as well as Startsev, Kamzolov, Koryakovtsev, Yuferev, joined the competition. Their machine gun prototype was based on the well-proven gas-operated rotary-bolt design of the Kalashnikov-pattern arms. The Kalashnikov and the Nikitin-Sokolov prototypes underwent service tests in the Central Asian, Odessa, and Baltic Military Districts, as well as at the Vystrel officer training courses in late 1960. The Main Missiles and Artillery Directorate and the Ministry of the Defence Industry preferred the Kalashnikov design. The Kalashnikov design was found to be more reliable and cheaper to manufacture than the design of Grigory Nikitin and Yuri Sokolov. The PK/PKS was put into production at the Kovrov Mechanical Plant and used the tripod mount and an ammunition belt boxes originally designed for the Nikitin-Sokolov prototype machine gun. The breech is locked by a rotating bolt, with two locking lugs engaging locking recesses in the receiver. The gas piston is hinged to the bolt carrier assembly, and its vertical travel makes it possible to bend the group making machine gun assembly and disassembly for maintenance easier. The protruding rear part of the bolt carrier assembly features spiral shaped cuts, which provide a controlled rotation of the bolt. The mainspring is accommodated in the bolt carrier assembly slide channel. A cartridge extractor with a latch is mounted in the rear part of the bolt carrier assembly. The cocking lever, mounted on the right, is not integral with the bolt carrier and does not reciprocate as the gun fires. The machine gun fires from the rear sear. The quick detachable barrel assembly slides into the receiver and attaches by a barrel-lock. On the original PK it was partially fluted to increase rigidity and improve heat dissipation. The barrel-lock also regulates the gap between the breech face and the breech end of the barrel. PK barrels have a folding carry handle/grip that is positioned to the left of the receiver and is used to transport the weapon and quickly and safely change-out barrels to prevent barrel overheating. The bore is chrome-lined and features four right-hand grooves at a 240 mm (1 in 9.45 in) rifling twist rate. The muzzle is threaded for the installation of various muzzle devices such as a flash hider. The muzzle was normally equipped with a conical flash suppressor that added 53 mm (2.1 in) to the barrel and later a long slotted flash suppressor that added 72 mm (2.8 in) to the barrel. Later when the PKM variant was introduced the PK series barrel fluting was omitted and the muzzle device was changed to a shorter cylindrical slotted flash suppressor that added 40 mm (1.6 in) to the barrel. The rear sight assembly is riveted onto the receiver cover and consist of a square notched rear tangent iron sight calibrated in 100 m (109 yd) increments from 100 to 1,500 m (109 to 1,640 yd) and includes a "point-blank range" battle zero setting corresponding to a 330 m (361 yd) zero. It is identical in design to the AKM and Mosin–Nagant, except that it is oriented backwards with the notch forward and the hinge behind. The iron sight line has a 663 mm (26.1 in) sight radius. Like the RPD rear sight, the PK rear sight also features full windage adjustment in the form of small dials on either side of the notch. The 6T2 Samozhenkov tripod mount was designed by E. S. Samozhenkov and entered service in 1961 and weighs 7.5 kg (16.53 lb). The 6T2 Samozhenkov tripod mount was earlier envisioned for the Nikitin-Sokoiov machine gun that was not adopted by the Soviet Union. All types of ammunition belt boxes are carried and mounted separately. 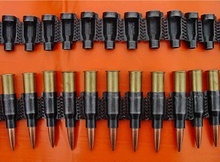 The Rakov device is used for loading ammunition belts. The PK machine gun is attached to a cradle on the 6T2 Samozhenkov mount. The cradle is hinged to a plug-in swivel equipped with a rack-and-pinion traversing mechanism, and a rod-and-screw elevation mechanism. The traversing mechanism is fitted with stops to limit the field of fire. For anti-aircraft fire or fire against ground targets from a kneeling position the cradle mounts a collapsible pole with a pivoting bracket. The mount features non-digging-in spades — sliding spades affect the accuracy of fire less than a "jumping" tripod with dug-in spades. There is an extra folding spade on the front leg for slippery and moving ground. Hinged tripod legs allow a gunner to fire the machine gun from a prone, a sitting, or a kneeling position. The PKMN (ПКМ Ночной: "PKM Night-Vision") is a variant that can mount a night sight for low-visibility operations. The PKMN-1 can thus mount the multi-model NSPU-3 (1PN51) night vision scope while the PKMN-2 can mount the multi-model NSPUM (1PN58) night vision scope. It can also be fitted with the 1PN93 series passive night sights. Version without stock for mounting on roofs of vehicles. The PKP Pecheneg (6P41) (2001) is a further development and modification of the PKM. It has a heavy fixed barrel encased in a radial cooling sleeve that uses forced-air cooling, much like the Lewis Gun of World War I. 6P41N Pecheneg-NP version with a rail for mounting nightscopes. The Zastava M84 is a Yugoslav/Serbian-made licensed copy of the PK/PKS. The Zastava M86 is a copy of the solenoid-triggered PKT. These variants can be easily recognised by their unhollowed stock. The Zastava M09 is a copy of the PKM with black synthetic furniture, chambered in 5.56x45 NATO ammo. The Zastava M10 is a variant of the M09 with a solid stock. The Type 80 is a Chinese-made copy of the PKM/PKMS. China: PK/PKM copies were produced as the Type 80. Colombia: Used captured FARC PK/PKMs by the military and police during the Colombian conflict. Gambia: Used by Gambian Peacekeepers in Darfur. India: Captured PKMs and imported Bulgarian PK variant used by Para SF, Special Frontier Force and Special Group. PKT Manufactured at Ordnance Factory Tiruchirappalli of the Ordnance Factories Board . Iran: PKS and PKT variants. Incorrectly called "Goryunov", mostly because of the cartridge being the same as SG-43 Goryunov. Iraq: PKS and PKT variants. PKS being called "Be-Ke-Se"
Malawi: Used by Malawian peacekeepers in the Democratic Republic of the Congo. North Korea: Clones made known as the Type 82. Rwanda: Used by Rwandan Peacekeepers in Darfur. Serbia: Made under license as the Zastava M84/M86. Sri Lanka: Type 80 variant. Tanzania: Used by Tanzanian Peacekeepers in Darfur. Turkey Known as Biksi or Bixi in Turkish service. MKEK announced production of PKs. Vietnam: Supplied by the Soviets in the late 1970s. Made under license by Z111 Factory. Yugoslavia: PKM copies were produced as the Zastava M84. ^ Campbell, David (30 Nov 2017). Soviet Paratrooper vs Mujahideen Fighter: Afghanistan 1979–89. Combat 29. Osprey Publishing. pp. 42, 66–68. ISBN 9781472817648. ^ a b Small Arms Survey (2006). "Fuelling Fear: The Lord's Resistance Army and Small Arms" (PDF). Small Arms Survey 2006: Unfinished Business. Oxford University Press. p. 283. ISBN 978-0-19-929848-8. ^ "theage.com.au - The Age". www.theage.com.au. ^ "Syrie: l'EI inflige un revers aux FDS dans l'est, mais reste acculé". France Soir (in French). 25 October 2018. ^ Ruptly (12 August 2016). "Yemen: Government forces battle Houthis in Taiz after peace talks break down" – via YouTube. ^ Yemen War 2015 - Heavy Clashes On The Saudi Border As Houthi Rebels Attack Saudi Military Outposts (in Arabic). Yemen. 2015. Event occurs at 6:14. Retrieved 19 June 2015. ^ "Open Joint Stock Company 'V.A.Degtyarev Plant' / 7.62mm PKTM Kalashnikov tank machine gun". www.zid.ru. ^ "Open Joint Stock Company 'V.A.Degtyarev Plant' / 7.62mm PKMS Kalashnikov modernized machine gun on a Stepanov mount". www.zid.ru. ^ "Open Joint Stock Company 'V.A.Degtyarev Plant' / 7.62mm PKM Kalashnikov modernized machine gun". www.zid.ru. ^ "Open Joint Stock Company 'V.A.Degtyarev Plant' / 7.62mm PKMB Kalashnikov machine gun (APC version)". www.zid.ru. ^ "Sights". Russian Close Combat Weapon. Moscow: Association "Defense Enterprises Assistance League". 2010. ISBN 978-5-904540-04-3. ^ Lawrence, Erik (13 March 2015). "Practical Guide to the Operational Use of the PK/PKM Machine Gun". Erik Lawrence Publications – via Google Books. 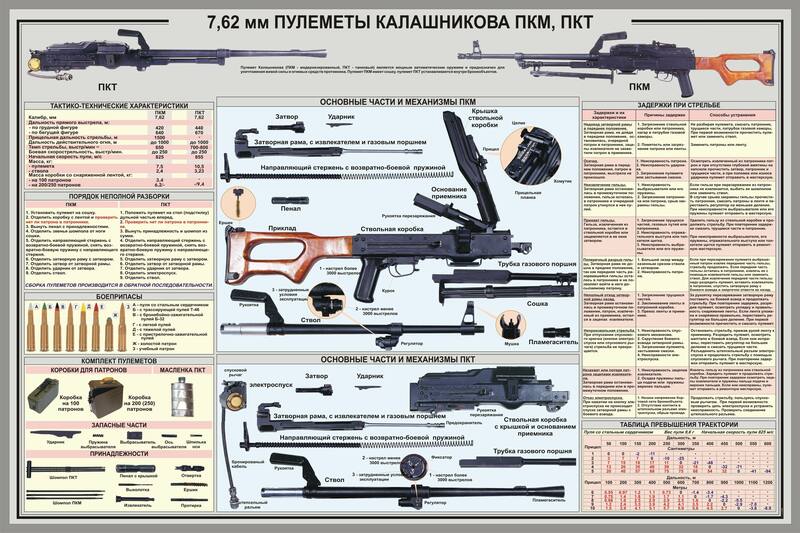 ^ "7.62mm PKM Kalashnikov modernized machine gun". Retrieved 13 November 2014. ^ "1P29 Universal sight for small arms NPZ Novosibirsk Instrument-Making Plant". Retrieved 16 November 2014. ^ "Image collection of 1P29 sights". Retrieved 16 November 2014. ^ a b "PK/PKS Kalashnikov". gunrf.ru. ^ a b ИЗДЕЛИЕ 1ПН51 ТЕХНИЧЕСКОЕ ОПИСАНИЕ И ИНСТРУКЦИЯ ПО ЭКСПЛУАТАЦИИ [PRODUCT 1PN51 TECHNICAL DESCRIPTION AND OPERATING INSTRUCTIONS] (in Russian). January 1992. pp. 11, 16. ^ a b ИЗДЕЛИЕ 1ПН58 ТЕХНИЧЕСКОЕ ОПИСАНИЕ И ИНСТРУКЦИЯ ПО ЭКСПЛУАТАЦИИ [PRODUCT 1PN58 TECHNICAL DESCRIPTION AND OPERATING INSTRUCTIONS] (in Russian). February 1991. pp. 5, 13. ^ a b "1PN93 Magnus Night Wssion Sights". gunrf.ru. ^ a b "Shakhin Thermal Sights". gunrf.ru. ^ a b "1PN116 Thermal Sights". gunrf.ru. ^ a b "Anti-Sniper Special Purpose Night Vision Sights". gunrf.ru. ^ Creations, (c) 2000-2002 Vasiliy Fofanov - Sauron's. "PKT 7.62mm Coax MG". fofanov.armor.kiev.ua. ^ "Russian 7.62x54mm Rounds for Rifles and Machine Guns, Land Forces Weapons Export Catalog, page 87" (PDF). Archived from the original (PDF) on 2011-12-16. ^ "LVE Novosibirsk Cartridge Plant: 7,62mm rifle cartridge with steel core bullet". www.lveplant.ru. ^ Bonds, Ray; Miller, David (13 February 2003). "Illustrated Directory of Special Forces". Voyageur Press – via Google Books. ^ Creamer, CPT Shawn (2005). "Operator's Manual: PK-Series General-Purpose Machinegun" (PDF). Department of the Army, National Ground Intelligence Center. Retrieved October 1, 2015. ^ "Arsenal 7.62mm "ARSENAL" Machine Gun MG -1M". www.arsenal-bg.com. Retrieved 2015-10-01. ^ a b User, Super. "Small arms - ПАТ "Завод Маяк" - Українська зброя". www.mayak.com.ua. ^ User, Super. "Tank machine gun KT-7,62 - ПАТ "Завод Маяк" - Українська зброя". www.mayak.com.ua. ^ "Arms & Security 2011". Small Arms Defense Journal. ^ a b c d e f g h i j k l m n o p q r s t u v w x y z aa ab ac ad ae af ag ah ai aj ak al am an ao ap aq ar Jones, Richard D. Jane's Infantry Weapons 2009/2010. Jane's Information Group; 35 edition (January 27, 2009). ISBN 978-0-7106-2869-5. ^ Cite error: The named reference BD was invoked but never defined (see the help page). ^ "President Guard Regiment". Archived from the original on 2013-04-28. Retrieved 2013-04-29. ^ a b c d "G3 Defence Magazine August 2010". calameo.com. Archived from the original on 25 March 2012. Retrieved 13 November 2014. ^ "Small Arms Survey - Working Papers" (PDF). 8 November 2012. Retrieved 13 November 2014. ^ McGregor, Andrew (May 15, 2018). "How Russia Is Displacing the French in the Struggle for Influence in the Central African Republic". Eurasia Daily Monitor. Jamestown Foundation. 15 (74). ^ Type 80 7.62mm General Purpose Machine Gun. Retrieved on September 11, 2008. ^ Mikulka, Zdeněk (19 February 2010). "Střelby z palubních zbraní vrtulníků Mi-171Š v Afghánistánu". Zahraniční mise. Ministerstvo obrany. Retrieved 16 May 2013. ^ a b Small Arms Survey (2015). "Waning Cohesion: The Rise and Fall of the FDLR–FOCA" (PDF). Small Arms Survey 2015: weapons and the world (PDF). Cambridge University Press. p. 202. ^ a b Small Arms Survey (2007). "Probing the Grey Area: Irresponsible Small Arms Transfers" (PDF). The Small Arms Survey 2007: Guns and the City. Cambridge University Press. p. 93. ISBN 978-0-521-88039-8. ^ "Rosyjska broń dla Fidżi" (in Polish). altair.pl. Retrieved 2016-02-21. ^ "Konekivääri 7.62 KK PKM". maavoimat.fi. Retrieved 15 December 2017. ^ Matt Cetti-Roberts (2015-10-26). "To the Edge of Kurdistan Volunteer peshmerga prepare for a major assault near Kirkuk". War is Boring. Retrieved 2017-07-04. ^ Jenzen-Jones, N.R. ; McCollum, Ian (April 2017). Small Arms Survey (ed.). Web Trafficking: Analysing the Online Trade of Small Arms and Light Weapons in Libya (PDF). Working Paper No. 26. p. 33. ^ "North Korean Small Arms". Small Arms Defense Journal. ^ Savannah de Tessières (January 2018). At the Crossroads of Sahelian Conflicts: Insecurity, Terrorism, and Arms Trafficking in Niger (PDF) (Report). Small Arms Survey. p. 53. ISBN 978-2-940548-48-4. ^ "Chinese arms, radar for Sri Lanka military". 2007-06-05. Archived from the original on 2012-06-14. Retrieved 2010-05-04. ^ "SLAHLAR". Archived from the original on 14 December 2014. Retrieved 13 November 2014. ^ "MKEK's 7.62mm PKM and MAG designs, Production Ready? - The Firearm Blog". 13 October 2017. ^ UaPositon (18 May 2016). "Defense Ministry introduces new Ukrainian-made light machine gun". ^ "NVA". Retrieved 13 November 2014. ^ VCCorp.vn. "Việt Nam sản xuất thành công súng máy PKMS hiện đại".